Recently news about NCsoft have attracted lots of players to keep eyes on their games such as Blade and Soul, Lineage Eternal. But actually, as the competitor of NCsoft, Nexon gave their 2015 plan much eariler than NCsoft. Here below are the introduction of these 3 new MMOs that they plan to launch in this year, including our highly anticipated MMO Tree of Savior and MapleStory 2, read on guys! Nexon Q4 2014 investor’s presentation confirms that Tree of Savior will be published in the second half of 2015 or later. The game release pipeline also has other games such as Dirty Bomb, Aima, Maple Story 2 scheduled to release in 2015. This comes without surprise as the Tree of Savior first CBT showed as much promises as room for development. imcGAMES is currently improving Tree of Savior based on the feedback they have obtained in first CBT and preparing for second CBT. Second CBT is expected to begin later in spring 2015, usually around March to May. 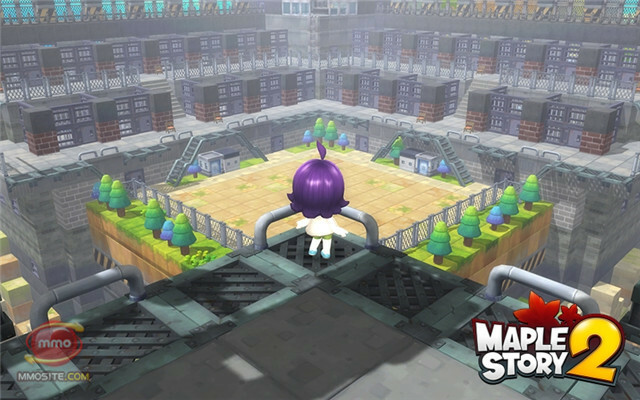 As we've known, our highly anticipated MapleStory 2's latest CBT finished on Jan 25th 2015. During these five days, what new contents did Nexon add in this CBT? Are you just curious like me? These videos below (from Korean community) may help us get a further understanding of it. MapleStory 2's background story happens earlier than MapleStory's. The 3D MMORPG will have many familiar monsters from MapleStory, but it has its own unique gameplay and settings. MapleStory 2 is planned to kick off beta test in Korea in 2015. More information about the game will be unveiled by Nexon soon. Previous: WINTER ALPHA UPDATE #2 – THE APOCALYPSE?